Keen to get started but no idea what you need? 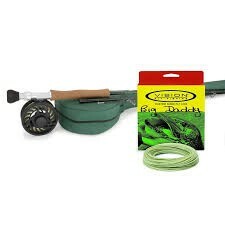 Then let us do the hard work for you, we have put together a fishing kit using high quality products best suited for beginners through to more advanced anglers. A fly rod, reel and lines are selected for you, leaving you just to select some flies and then you are ready to fish!